Username - Code Central accepts any number or kind of standard ASCII characters. Password - Code Central accepts any number or kind of standard ASCII characters. Confirm - Retype the previous password. 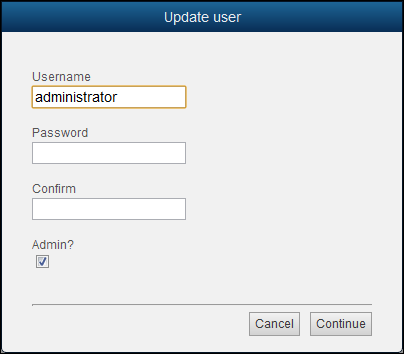 Admin - Checkbox to indicate the current user's admin status, this field is editable at any time.